Mike Atherton, CEO of Mantic Point explains the importance of implementing a cross-channel communication system to proactively outreach to customers in an emergency. When an emergency situation occurs in a business, by the very nature of the event, it is unplanned. It can absorb a great deal of team resources and energy to rectify the issue as contingency plans are put into action. As the public ‘face’ of any business, close scrutiny ultimately falls on the customer service function and the way in which the situation is communicated can have a major impact on how the company is perceived, customer loyalty and other such factors. For example, if a mobile network operator experiences an outage, customers are understandably frustrated and want to know when the service will resume, what created the issue and what has been done to ensure it doesn’t happen again. Emergency customer checklistIf the external communications aren’t handled in a proactive way, it creates significant inefficiencies as the customer support team is tasked with handling the many varied inbound enquiries, and frustrations quickly escalate. And, in today’s digital world, this isn’t just in the form of telephone communications, but multi-channel – so, phone, email, online and social media interactions – all requiring a prompt and relevant response. Retaining control when an unplanned situation occurs is vital, and the way in which many organizations are doing this today is through harnessing technology to support the communications process. In the digital age, when the mobile phone is one of four essential items carried by passengers (the others being keys, money, and travel documents) it makes sense to embrace this technology to improve passenger communication and aid disruption management. Most communication systems talk about being ‘multi-channel’ – this means that they can send content via email, SMS text or apps for example in a parallel method or sequentially in a progressive fashion. What this means for the end user is they receive the same message multiple times. This can potentially risk ‘end user overload’ and create annoyance, not to mention the increasing cost when you consider most of the messages are wasted. What is important is to employ the use of a system that enables ‘cross-channel’ communication. Using a ‘decision rules engine’ allows organizations to send targeted and relevant messages to an appropriate channel, based on end user preferences and responses. This means the end user is engaged in a ‘conversation’ that is not only sensitive to what has gone before, but prompts the end user on what to do next. This avoids bombarding them and makes every communication matter. It also helps save the organization money by reducing redundant communications. One example of this is when the volcanic ash cloud closed much of Europe’s airspace for six days, affecting hundreds of thousands of travellers. For many stranded travellers, mobile was their only means of communication and with travel companies call centers stretched beyond capacity, airlines and travel companies turned to cross-channel communications to send out over 100,000 personalized messages containing advice designed to inform, reassure and ultimately help travellers get home. The technology is able to target specific messages to travellers, based on criteria including their location, the traveller’s intended flight and when they were due to depart. Replies could also be received via the system, so travellers could request help or ask further information. 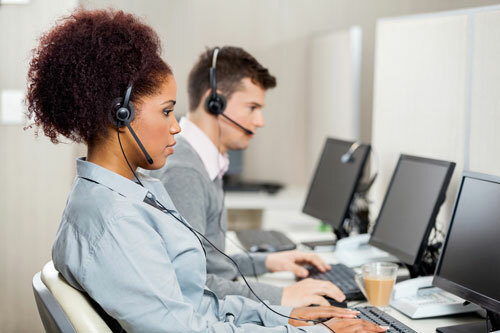 The inbound enquiries could then be routed through a secure, online portal to travel company customer service advisors, who could respond directly to the customer. During periods of disruption or emergency, the mobile phone today becomes the primary communication tool for individuals who are on the move. If you compare this to the previous methods that an airline could have employed to notify passengers delayed by the ash cloud, and you would have seen staff attempting to print out the latest information, creating 1,000s of photocopies, and then distributing the information by hand. Of course, by the time this information reaches passengers it is often out of date. However, with the mobile, customer service teams can now direct messages to groups of passengers in real-time, providing far more control at often difficult times. What is important to remember is that customers often associate a lack of information with a loss of control and this can cause them to become frustrated, stressed and generate a bad feeling. Organizations can help reduce such stress levels by proactively informing customers in advance of any issues using a cross-channel technology approach. Working on the basis that forewarned is forearmed, it is better to alert customers in advance of any issues so they are reassured of the steps being taken. Ultimately, implementing a simple cross-channel communication system to proactively outreach to customers via mobile, email, web or phone should be a priority for all organizations that want to take complete proactive control of their customer communications. Mike Atherton is CEO of Mantic Point. Can Mystery Shopping Customer Raise Service levels?